Home News trending Scientific life shining stars Technology Wow Sony's new cameras show just how drastically photography is changing!!! Wow Sony's new cameras show just how drastically photography is changing!!! Sony held an event in Manhattan today to announce two new cameras: the RX100 Mark V and the A6500. It was a relatively low-key event as far as Sony events tend to go — the A6300launch featured basketball players and sparring matches, for example — and that's probably because both cameras were ostensibly just upgrades to existing lineups. Despite the muted presentation and the lack of wholesale changes, though, the new cameras are emblematic of an ongoing revolution in terms of what photography is and how it happens. First, the cameras. Sony made tweaks to each camera so that they improve on their predecessors, but you have to look closely to spot these differences. Let’s start with the $1,000 RX100 Mark V. Sony essentially took the RX100 Mark IV — which was the first camera in the company’s point-and-shoot lineup to offer 4K and ludicrous 960 frames per second slow motion video modes — and made it faster and better at focusing. The camera has a new image sensor that allows for phase detection autofocus, finally pulling the lineup out of the outdated contrast autofocus era where cameras had to "hunt" for focus. It has 315 phase detection AF points, too. Those new AF capabilities will get put to good use, too, since the new RX100 can shoot as fast as 24 frames per second with both RAW and JPEG files. SONY ITERATED ON TWO VERY POPULAR CAMERAS The new A6500 is an upgrade to the A6300, which was released earlier this year as an upgrade to the A6000 from 2014. Like the new RX100, it’s mostly the same camera, but the differences are a bit easier to spot here. The A6500 gains a touchscreen — something that was sorely missed on the A6300, and is a confounding omission on the new RX100 — as well as in-body 5-axis image stabilization for steady video shooting and better performance in low light. The A6300 was already fast, offering 11 frames per second shooting, but the A6500 builds on that by allowing photographers to shoot that fast for up to 20 seconds, good for well over 200 continuous images. Sony still has room to improve these cameras. A touchscreen on the RX100 is an obvious start, and the company continues to place the video record button in spots that make it way too easy to accidentally trigger. The menus could be simplified, and button and dial placement on the A6500 could use a refresh at this point. But both cameras are otherwise absurdly capable, and they share one particular trait that signals both how far photography has come, and how it’s about to change. It’s not 4K, or image stabilization — it's how fast you can shoot with them. THE SHEER SPEED OF CAMERAS IS CHANGING THE EXERCISE OF PHOTOGRAPHY The RX100 Mark V’s ability to shoot full-resolution stills at 24 frames per second is practically unheard of in a camera of this size and price. High-end DSLRs have offered fast shooting speeds for a few years now, but the ability to shoot this fast in cameras that hover around the $1,000 mark is exciting. We’re talking about the same frame rate that movies are shot at, one that’s considered a good baseline for how fast images need to be played in succession for our brains to interpret it as a video. A number of competing cameras, especially ones from Panasonic and Olympus, have offered modes that let you shoot at up to 30 frames per second. As is the case with the RX100 Mark V, it’s a powerful feature in their price ranges. But unlike the RX100 Mark V, those cameras pull it off in a different way. Instead of firing the shutter 30 times in a second, they essentially capture a 30-second video and chop it up into individual frames. This typically results in lower-resolution stills (usually around 8 megapixels), and they are more susceptible to motion blur since the user has less control over the shutter speed and aperture. Sony’s cameras, on the other hand, are approaching that speed at full resolution — 20.1 megapixels with the RX100, and 24.2 megapixels with the A6500. You have more control over the look of the photos, and with these new models you can shoot this way for longer. Quality aside, this type of feature is changing the basic exercise of photography, which is to capture a subject in a particular moment. This idea was famously framed by French photographer Henry Cartier-Bresson as "the decisive moment." It’s the kind of tenet that gets beaten into the heads of anyone who takes photography classes in grade school and college, and it is on the verge of being wiped out by the pace of technology. WHAT IS THE SHUTTER BUTTON'S ROLE IN THE FUTURE OF PHOTOGRAPHY? To be clear, I’m not saying that’s a bad thing. But we live in a moment where, after almost two centuries of photography, one of the most basic foundations of the medium is changing. A photographer equipped with a camera like the RX100 Mark V will still have to anticipate the right moment to start firing, but there’s far more room for error than ever before. This kind of photography is not without its problems. Most immediately, some of Sony’s cameras have struggled with the most intense performance modes; the A6000 (and even the A6300 to some extent) are prone to overheating. But the longer-term issue is data. Shooting this many full-resolution files in such rapid succession means photographers will have to be ready to handle more gigabytes and terabytes of data than ever before. It also means they’ll have to spend more time picking the right photo. The fast-shooting modes offered by the A6500 and RX100 Mark V make me wonder how close we are to cameras and editing software that use AI to do that work for you — or at least narrow down the selection — similar to what some smartphones and cloud services are already capable of. Six years ago, Canon showed off a prototype called the "Wonder Camera." With it, the company proclaimed that the future of photography would simply involve capturing a constant video stream. Photographers would then be able pick the best full-resolution frame from that stream. There would be no "decisive moment," but there would also be no sacrifice on quality. We still have a long way to go before something like that is possible, but Sony’s new cameras make that future feel closer than ever. Sony held an event in Manhattan today to announce two new cameras: the RX100 Mark V and the A6500. 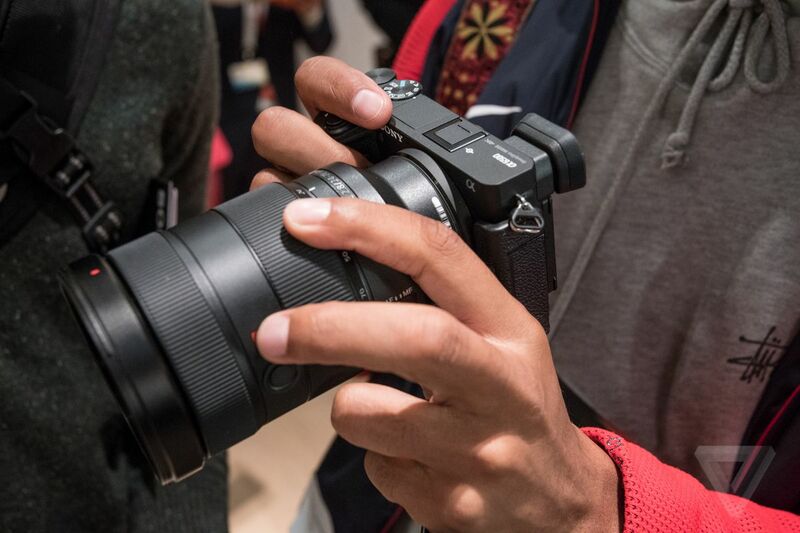 It was a relatively low-key event as far as Sony events tend to go — the A6300launch featured basketball players and sparring matches, for example — and that's probably because both cameras were ostensibly just upgrades to existing lineups. Despite the muted presentation and the lack of wholesale changes, though, the new cameras are emblematic of an ongoing revolution in terms of what photography is and how it happens. First, the cameras. Sony made tweaks to each camera so that they improve on their predecessors, but you have to look closely to spot these differences. Let’s start with the $1,000 RX100 Mark V. Sony essentially took the RX100 Mark IV — which was the first camera in the company’s point-and-shoot lineup to offer 4K and ludicrous 960 frames per second slow motion video modes — and made it faster and better at focusing. The camera has a new image sensor that allows for phase detection autofocus, finally pulling the lineup out of the outdated contrast autofocus era where cameras had to "hunt" for focus. It has 315 phase detection AF points, too. Those new AF capabilities will get put to good use, too, since the new RX100 can shoot as fast as 24 frames per second with both RAW and JPEG files. The new A6500 is an upgrade to the A6300, which was released earlier this year as an upgrade to the A6000 from 2014. Like the new RX100, it’s mostly the same camera, but the differences are a bit easier to spot here. The A6500 gains a touchscreen — something that was sorely missed on the A6300, and is a confounding omission on the new RX100 — as well as in-body 5-axis image stabilization for steady video shooting and better performance in low light. The A6300 was already fast, offering 11 frames per second shooting, but the A6500 builds on that by allowing photographers to shoot that fast for up to 20 seconds, good for well over 200 continuous images. Sony still has room to improve these cameras. A touchscreen on the RX100 is an obvious start, and the company continues to place the video record button in spots that make it way too easy to accidentally trigger. The menus could be simplified, and button and dial placement on the A6500 could use a refresh at this point. But both cameras are otherwise absurdly capable, and they share one particular trait that signals both how far photography has come, and how it’s about to change. It’s not 4K, or image stabilization — it's how fast you can shoot with them. The RX100 Mark V’s ability to shoot full-resolution stills at 24 frames per second is practically unheard of in a camera of this size and price. High-end DSLRs have offered fast shooting speeds for a few years now, but the ability to shoot this fast in cameras that hover around the $1,000 mark is exciting. We’re talking about the same frame rate that movies are shot at, one that’s considered a good baseline for how fast images need to be played in succession for our brains to interpret it as a video. A number of competing cameras, especially ones from Panasonic and Olympus, have offered modes that let you shoot at up to 30 frames per second. 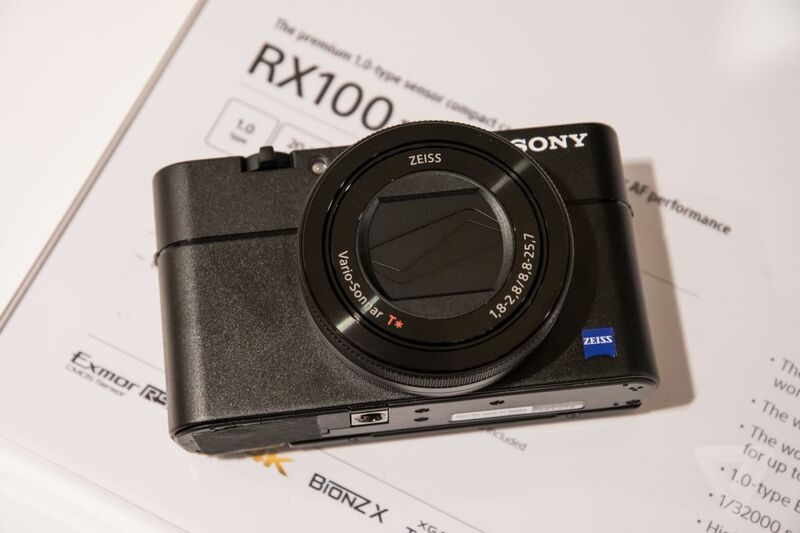 As is the case with the RX100 Mark V, it’s a powerful feature in their price ranges. But unlike the RX100 Mark V, those cameras pull it off in a different way. Instead of firing the shutter 30 times in a second, they essentially capture a 30-second video and chop it up into individual frames. This typically results in lower-resolution stills (usually around 8 megapixels), and they are more susceptible to motion blur since the user has less control over the shutter speed and aperture. Sony’s cameras, on the other hand, are approaching that speed at full resolution — 20.1 megapixels with the RX100, and 24.2 megapixels with the A6500. You have more control over the look of the photos, and with these new models you can shoot this way for longer. Quality aside, this type of feature is changing the basic exercise of photography, which is to capture a subject in a particular moment. This idea was famously framed by French photographer Henry Cartier-Bresson as "the decisive moment." It’s the kind of tenet that gets beaten into the heads of anyone who takes photography classes in grade school and college, and it is on the verge of being wiped out by the pace of technology. WHAT IS THE SHUTTER BUTTON'S ROLE IN THE FUTURE OF PHOTOGRAPHY? To be clear, I’m not saying that’s a bad thing. But we live in a moment where, after almost two centuries of photography, one of the most basic foundations of the medium is changing. A photographer equipped with a camera like the RX100 Mark V will still have to anticipate the right moment to start firing, but there’s far more room for error than ever before. This kind of photography is not without its problems. Most immediately, some of Sony’s cameras have struggled with the most intense performance modes; the A6000 (and even the A6300 to some extent) are prone to overheating. But the longer-term issue is data. Shooting this many full-resolution files in such rapid succession means photographers will have to be ready to handle more gigabytes and terabytes of data than ever before. It also means they’ll have to spend more time picking the right photo. The fast-shooting modes offered by the A6500 and RX100 Mark V make me wonder how close we are to cameras and editing software that use AI to do that work for you — or at least narrow down the selection — similar to what some smartphones and cloud services are already capable of. Six years ago, Canon showed off a prototype called the "Wonder Camera." With it, the company proclaimed that the future of photography would simply involve capturing a constant video stream. Photographers would then be able pick the best full-resolution frame from that stream. There would be no "decisive moment," but there would also be no sacrifice on quality. We still have a long way to go before something like that is possible, but Sony’s new cameras make that future feel closer than ever.